Diageo, the world's leading premium drinks company, have just released their latest cask strength single malt whisky range. 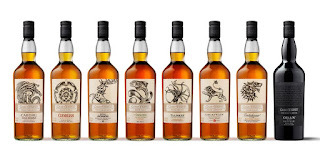 The Special Release series began in 2001 and the selected bottlings are released annually, around this time of the year. The idea is to showcase special stock that they are holding from their existing and closed Scottish distilleries. This years selection is made up of nine single malt scotch whiskies, with all limited in numbers and are highly collectable and desirable as a result. 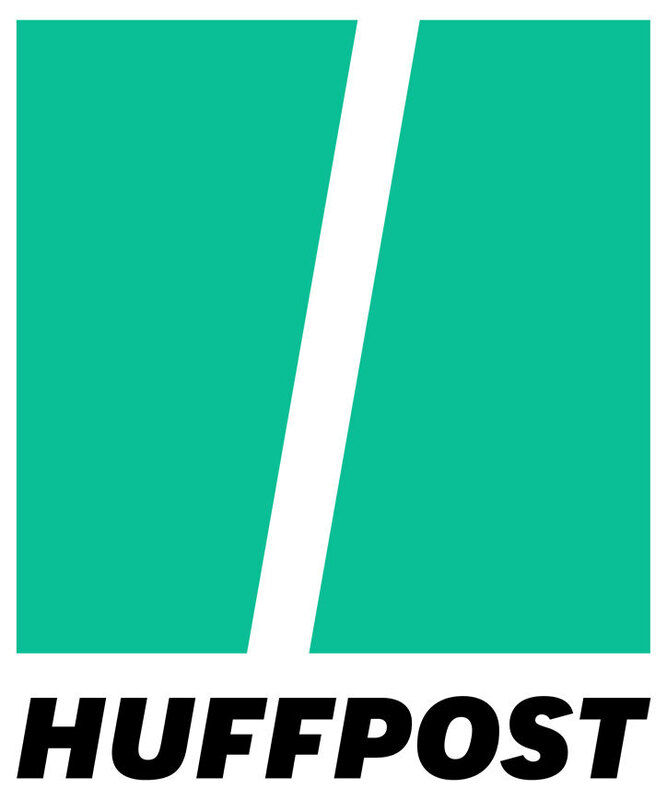 They will only be able to be purchased from specialist retailers and in selected markets around the world. We at Whisky For Everyone were lucky enough to get an invite to the official launch and tasting of the Special Releases that was recently held at Diageo's headquarters in London. We will present our tasting notes from the evening in two parts. To read the first part, including the Auchroisk 20 years old, Brora 30 years old, Glen Spey 21 years old and Talisker 30 years old - click here. The Caol Ila distillery (pronounced cowl-ee-la) is located on the north eastern shores of Islay, the famous whisky island off Scotland's west coast. Islay is well known for producing the peaty, smoky style of whisky and Caol Ila is no exception. Well, except this bottling! 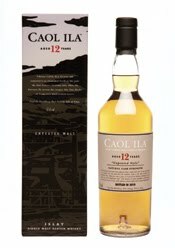 Caol Ila produce an unpeated non-smoky spirit for roughly two weeks a year and release this in limited batches. Caol Ila was founded in 1846 and is the largest distillery on Islay, producing 5.8 million litres per year. The colour is pale gold and the nose is fresh and vibrant. There are notes of vanilla, toffee and malty cereal grains (think of oatcakes), with the freshness coming from a combination of aromas, including salty brine, citrus zest, something floral (imagine honeysuckle) and a whiff of surgical spirit or bandages. The palate is light and zingy with the fresh notes from the nose appearing first, especially the zest and the honeysuckle. Then the saltiness comes, followed by the vanilla, toffee and cereal characters. Some additional green apple and a chalky, almost mineral note finish things off. Upon adding water, the whisky becomes creamier and more buttery in the mouth and some of the zingy, zesty notes are lost. The finish is clean and refreshing with that warming, medicinal touch of surgical spirit putting in a pleasant return towards the end. Cragganmore is a distillery which is located in the heart of the Speyside region, close to the village of Ballindalloch. It was founded in 1869 and has a current production capacity of 2 million litres. Cragganmore has long been the Speyside representative in Diageo's Classic Malts - a range in which they have selected their definitive whisky from each region of Scotland. 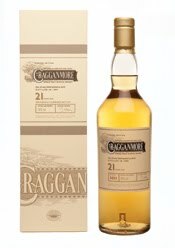 Despite this, Cragganmore is one of the least known single malts in the range. Sales are growing and a decent majority of whisky also goes in to blends, such as Old Parr and White Horse. Older expressions, such as this one, are rare. The colour is a rich gold and the nose is packed with vanilla and oak. Added to this are notes of nuts (think of coconut and toasted almonds), malty cereals, shortbread biscuits, honey and a whiff of spice (imagine cinnamon bark). The palate is rich and tangy, with a lovely freshness. There are immediate notes of wood spices like cedarwood and cinnamon, more vanilla, honey, buttery biscuits (probably that shortbread again), oats and some fiery ginger. There is also a sharp tang of citrus (especially lemon) and further woody notes that dry the sweetness out and are reminiscent of wood shavings. The finish is warming, is of decent length and is a little bittersweet. It begins with honey and vanilla, before the wood and spice notes pile in to give a rasping, fiery ending. Glenkinchie, like Cragganmore, is one of Diageo's Classic Malts, this time representing the Lowlands region in the range. The distillery is located in the town of Pencaitland, which is a short drive from Edinburgh and makes it a popular spot for tourists. It was founded in 1837 and has a current production capacity of 2.3 million litres per year. 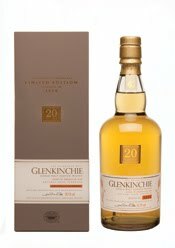 The popularity of Glenkinchie's single malts are rowing as a result and older versions, such as this, are rare so we were looking forward to sampling it. The colour is pale yellow gold and the nose is initially sharp, fresh and clean. With time, this settles down to reveal a highly perfumed and slightly unusual nose - it is a mix of floral notes (think of rose petals and honeysuckle) and tropical fruits (imagine mango and peach). These are joined by more traditional ex-bourbon cask aromas of vanilla, honey and oak, with a distinct grainy note also coming through. On the palate, it is again fresh with the floral and tropical notes present, along with some fresh green fruits (pear and apple especially). The vanilla, honey and oak notes combine with coconut and cereals well. The addition of water brings out the cereal character further and a dried grass herbal note appears to add dryness. The finish is short and sweet, getting drier towards the end. Lagavulin (pronounce laga-voo-lin) is located on the south eastern corner of the famous whisky island of Islay. It is one of the most highly regarded distilleries for the production of the heavily peated, smoky style of whisky. The distillery was founded in 1816 and has a current annual production capacity of 2.2 million litres. Lagavulin single malts are highly sought after and it is the Islay representative in the Classic Malts series. It is occasionally used in blending, especially in the popular White Horse. The colour is a light gold and the nose hits you in the face with a complex mix of aromas - toffee, burnt sugar, vanilla, malty cereals, a hint of salty brine, earthy smoke (think of damp moss and wet soil), honey and a whiff of parma violet sweets (those purple hard sweets that you had as a child). The palate is equally as complex and initially very sweet, with the honey and vanilla to the fore. Then comes an interesting fruitiness that is reminiscent of plums, and a hint of zingy lemon zest. Finally comes a touch of salt and that famous Lagavulin smokiness, which is more ashy and bonfire-like than on the nose. The finish goes on for ages with notes of burnt sugar and cereals mixing with the increasing peat smoke and a dash of bitter iodine. 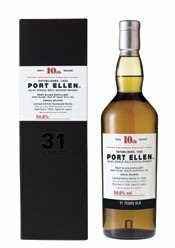 The Port Ellen distillery has been closed since 1983, making its whisky very rare and highly desirable. Diageo currently limit the release to this annual Special Release and as a result the price is high and they sell quickly. Releases through independent bottlers are more common but still limited and pricey. The distillery was located on the island of Islay and was founded in 1825. The floor maltings are still used to produce much of the island's peaty malted barley, but the distillery has laid dormant since it closed. This whisky is amber in colour and the nose is surprisingly fresh and lively for something of this age. The smoke immediately hits and is woody and ash-like in nature. Then other aromas start to appear - sweet caramel, cereal husks, shortbread biscuits, some waxy furniture polish, vanilla and a whiff of salty sea air. The smokiness gets a medicinal antiseptic quality with time. On the palate, there is initial honey and caramel sweetness, with more coming from the vanilla and distinct cereal notes. The smokiness creates a bitter edge, almost acrid, and is distinctly ashy and reminiscent of burning embers. The finish is long and smoky, becoming more antiseptic and bitter with time. Vanilla, some burnt caramel and a herbal note (think of dried grass) mix with a pleasant saltiness to create a complex and enjoyable dram. This year's Special Releases selection is very consistent across the board. All of the whiskies are good and the selection covers all the different styles and flavour profiles. They have chosen whiskies from well known and popular distilleries and mingled these with rare and lesser known ones. Our personal favourites are > Karen - Glenkinchie 2o years old, Matt - Talisker 30 years old. We at Whisky For Everyone were lucky enough to get an invite to the official launch and tasting of the Special Releases that was recently held at Diageo's headquarters in London. We will present our tasting notes from the evening in two parts. The second part, which includes the Caol Ila 12 years old Unpeated, Cragganmore 21 years old, Glenkinchie 20 years old, Lagavulin 12 years old cask strength and Port Ellen 31 years old, will follow shortly. Auchroisk (pronounced ar-thrusk) is one of Diageo's least known distilleries and is located in the eastern corner of the Speyside region, close to the village of Mulbern. It is also one of the youngest distilleries in Scotland having been founded in 1974 and has an annual production capacity of 3.8 million litres. The whisky produced there is used within the blended whisky market, mainly Diageo's Johnnie Walker and J&B brands. The colour is a deep gold and the nose gives plenty of immediate vanilla, honey, coconut and almond aromas. Other notes then join, such as burnt sugar, sultanas and a hint of cinnamon. The nose remains fresh and vibrant throughout. On the palate, this is immediately richer and deeper in character than the nose suggested, feeling creamy and warming. A distinct cereal note is present, reminiscent of oatcakes, and this graininess carries on through to the finish. It is joined by plenty of vanilla, toffee, honey, sultanas and coconut. The coconut becomes particularly prominent with the addition of a few drops of water, as does a previously undetected floral note (think of honeysuckle). The finish is short and slightly dry, with woody oak and a pinch of cinnamon spice present. 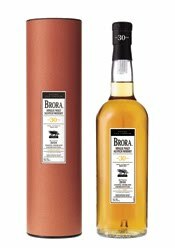 The Brora distillery was closed in 1983 and as a result the whiskies that were produced there are becoming rarer and rarer as stock dwindle. Brora was located on the north east Highland coast in the town of the same name and was founded in 1819. Upon closure, most of the buildings were dismantled but some remain and are used as warehouses for the neighbouring Clynelish, a modern distillery which was built in 1967. The colour is golden with an amber tint and the nose is elegant, yet expressive. There are aromas of vanilla, dried tropical fruits (imagine mango and pineapple), cereals and a whiff of bonfire smoke. With time, a sweet note of buttery fudge starts to appear and becomes increasingly prominent. On the palate, there is initial sweetness that combines that fudge with honey, cereals and the dried tropical fruits from the nose (add in some peach now). Then it becomes drier and more complex with a pinch of saltiness and the bonfire smoke (think of the ash and embers) growing to add pleasant depth. The finish is long with plenty of malted cereals, honey and fudge present. The salt and smoke reappear to give a lovely final hit of dryness. 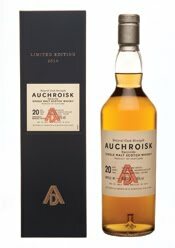 Glen Spey, like Auchroisk, is one of Diageo's least known distilleries and this release is one of only two official bottling since 2001 (the other was part of the recent Manager's Choice range). 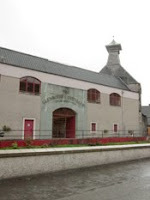 The distillery is located in the famous central Speyside town of Rothes and was founded in 1878. Glen Spey has an annual production capacity of 1.3 million litres and all of its whisky is used in blended whiskies, especially Diageo's J&B Rare. 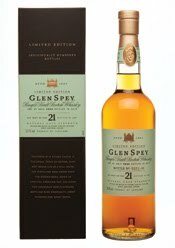 This whisky interested us because we have never tried any Glen Spey, as even independent bottling are rare. The colour is a bright gold and the nose is fresh and vibrant. There are aromas of toffee, butterscotch, vanilla, coconut and fresh green fruits (think of pears and apples especially). On the palate, this begins sweetly with a heavier mouth feel than expected - it is a little oily and seems to coat your mouth. The sweet notes include vanilla, honey and butterscotch, but these soon begin to battle with some very woody and much drier notes (imagine oak, coconut and wood spices like sandalwood and cinnamon). With water, the oak (which becomes more like sawdust) and the coconut become even more prominent. The finish is more subtle than expected and again starts sweetly before turning drier. Talisker is an iconic distillery located on the west Hebridean island of Skye. It is the only distillery on the island and is found close to the village of Carbost. 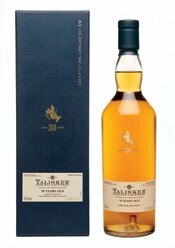 Talisker was founded in 1830 and has a current annual production capacity of 1.9 million litres. The use of Talisker whisky is split between an increasingly popular single malt range and the blended market, where it can be found in some expressions of Johnnie Walker. The colour is a deep gold and the nose is initially understated but develops well with a bit of patience and time. It is delicate with aromas of caramel, vanilla, dark dried fruits (think of raisins and prunes), spices (imagine nutmeg and clove) and some background coal smoke (this is slightly sulphuric and sooty). The nose is remarkable fresh for a whisky of this age and this is strengthened by some crisp green apple and pear notes. On the palate, there is a burnt sugary note that gives way to sweeter caramel and dried fruits. Add to this the spices (including some black peppercorns now) and the sooty, ashy coal smoke from the nose and the complexity starts to build. The freshness is still evident as a distinct salty tang is revealed and this is joined by a slightly savory, meaty note. The finish is long with a complex yet elegant combination of caramel, malty cereals, drying coal smoke and a hint of cracked peppercorns. A fantastic dram. The famous Speyside distillery have announced a new advertising campaign that they believe is a departure from traditional single malt marketing and will strengthen the brand’s position as the world’s number one single malt whisky. The campaign is called One Day You Will … and encourages consumers to meet life’s exciting challenges. It will involve printed and filmed advertisements, including new cinema promos, and ties in with the recent Glenfiddich Explorers launch. More information will shortly be available on www.glenfiddich.co.uk. The reborn Speyside distillery has proudly announced a new range of single cask bottlings named the Manager's Legacy. Four bottlings are being released to commemorate the work of the distillery's four managers between 1960 and 1986, when Glenglassaugh was closed. Each will be named after one of the four - Walter Grant, Bert Forsyth, Jim Cryle and Dod Cameron - and will be selected from the corresponding years of their tenures. The Jim Cryle and Dod Cameron are released in early November, with the other two following in early 2011. Check out www.glenglassaugh.com for more details. The island distillery was founded in 1810 and celebrates its 200th anniversary this year. To celebrate this, they are releasing a special limited edition 21 years old whisky to sit alongside their current award winning range. The whisky has been matured in vintage Oloroso sherry casks and will be available from the distillery and selected retail partners. Jura are also offering 21 free trips to the island and distillery as part of the release. For further info, go to www.isleofjura.com. In this new book, Dominic Roskrow the eminent whisky writer, journalist and author of the excellent blog The Whisky Tasting Club, has selected 750 of what he considers to be the best whiskies in the world. In conjunction with this, he is undertaking a mini book signing tour of the UK calling at Edinburgh, Glasgow, St. Andrew’s, Norwich, Guildford and Abingdon. Dominic has also recorded a number of clips for YouTube about whisky and whisky tasting. We have included one below. Enjoy! Laphroaig (pronounced la-froyg) is one of the most famous whisky distilleries and names in the world. The name seems strange and is notoriously one of the hardest to pronounce correctly - it is derived from the Gaelic for 'beautiful hollow by the broad bay'. The distillery is located on the island of Islay, which lies off the western coast of Scotland. Laphroaig and Islay are both renowned for producing very smoky, peaty flavoured whisky. The distillery was founded in 1810 by two brothers, Alexander and Donald Johnson, and is currently owned by drinks corporation Beam Global. It has an annual production capacity of 2.9 million litres and they produce some of the peatiest, smokiest whiskies in the world. The Laphroaig 10 years old is also the best selling smoky whisky in the world. This Triple Wood is a limited edition whisky which is exclusive to the Duty Free/Travel Retail sector. As a result, it is only available in one litre bottles and should cost approximately £55 (although we got it for the bargain '20% off price' of £44 at Aberdeen airport recently - not sure when that deal runs out ...). The Triple Wood name is derived from the fact that the whisky has been matured in three different types of cask - one standard ex-bourbon cask, one quarter cask (as the name suggests, these are a quarter the size of a regular bourbon cask and hold about 50 litres only) and then ex-Oloroso sherry casks. Essentially, it is similar to the Laphroaig Quarter Cask but finished in a sherry cask. The whisky is bottled at an alcoholic strength of 48% ABV and is only produced in small batches. The colour of this Triple Wood is a rich golden amber and the nose is immediately expressive. There is intense earthy peat (think of damp moss) and a bitter hint of medicinal iodine, before these mellow to allow other notes through to create an intense combination - caramel, dark dried fruits (imagine raisins and prunes), honey, vanilla, oatcake biscuits and something herbal (think of dried grass and fresh bergamot leaves). On the palate, this softer than expected and feels creamy and rich, almost buttery. The rich peat smoke comes first again and is reminiscent of burning straw, damp moss and ashy embers. Then other elements appear and give great balance to the smoke - burnt sugary caramel, toasted almonds, honey, dried fruit, a hint of salty brine and a drop of bitter iodine. The finish is long, with the peat smoke burning away for ages like embers in a bonfire. Distinct iodine adds pleasant bitterness, as does a tang of salt, and these are tempered by some lovely sweet, fruity caramel. Laphroaig Triple Wood is a lovely dram and a very good example of a peaty, smoky whisky. We love the Quarter Cask to which it is closely related and that is one of our favourite whiskies in the smoky style - this is different with the addition of the sherry cask maturation adding obvious sweetness, while softening the normally intense Laphroaig peat smoke. It takes away some of the robustness that some people struggle with. The high ABV level then counteracts this by intensifying some of the other non-peaty characteristics. Triple Wood is a wonderfully crafted, expressive and complex whisky. Glenrothes is one of the largest Scotch whisky distilleries in the Speyside region of Scotland. It is located within the town of Rothes and has a capacity of approximately 5.5 million litres per year. The distillery was founded in 1878 by Stuart & Co and despite its size Glenrothes remains fairly unknown to the wider whisky consumer. The main reason for this could be that the current owners, Berry Brothers & Rudd in conjunction with the Edrington Group, use a majority of the whisky produced at Glenrothes in their flagship blends of Famous Grouse and Cutty Sark. 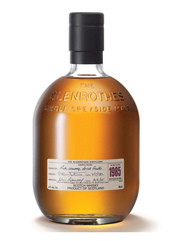 However, they are continuing to grow the range of Glenrothes single malts and sales are increasing rapidly. Matt was recently invited to Glenrothes distillery and took part in a tutored tasting of the Glenrothes range which was hosted by Ronnie Cox (pictured, below), the legendary Brands Heritage Director for Berry Brothers & Rudd. 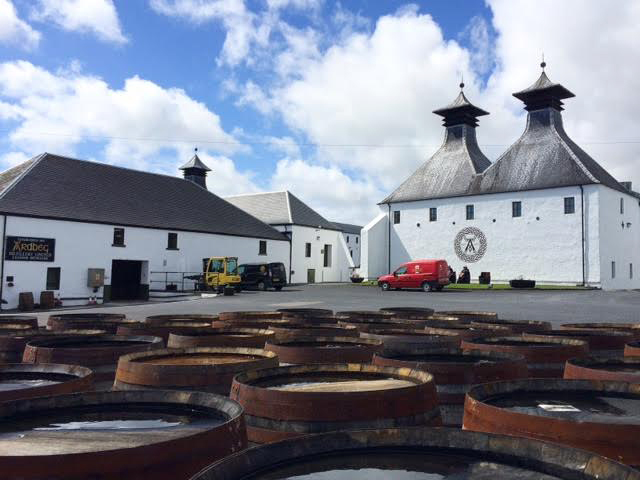 To read his review of the Glenrothes distillery visit - click here. The tasting with Ronnie was a marathon one and very educational. It very quickly became informal, as he explained about the nuances of tasting whisky correctly and about Glenrothes. The main point covered the reasoning as to why Glenrothes single malts have years or 'vintages' named on the label, rather than the more traditional age statements (12 years old etc). This was due to Berry Brothers' wine background where vintages are commonly used and they wanted their whiskies to reflect this. The idea was to create whiskies for different moods and the core range always has four such vintages present at any one point. The vintages create a point of difference with Glenrothes single malts from its competitors and allows them to release whisky when they feel it is in its prime, rather than having to wait for the whisky to reach one of the traditional age statements such as 15 or 18 years of age. Berry Brothers were the first whisky producers to do this and now others, such as Balblair, have followed suit. Other distilleries have also now released vintages but mostly in limited editions or single cask bottlings. 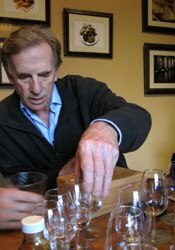 The tasting with Ronnie Cox was held in The Inner Sanctum, a specially designed tasting room in the heart of the distillery. All of the furniture has been hand designed and uses elements of the whisky making process as inspiration. 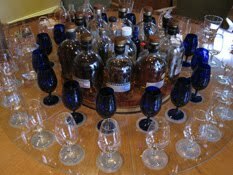 The centrepiece is the large circular tasting table (pictured, left)that has a revolving centre upon which the various expressions of Glenrothes are placed. Matt's tasting notes are listed below and the chance to taste them side-by-side with Ronnie, was an excellent experience. This is clear with a slight yellow hue and the nose is fresh and zesty (imagine lemons). On the palate, it remains fresh and zingy but with plenty of fresh green fruits (think of pears and apples), some vanilla and a hint of hot spicy chilli. The finish is short and sharp with cereal grains becoming evident. Very interesting to try, as it shows the starting point of all of the whiskies tasted below and how the spirit evolves. The colour is golden yellow and the nose is very fresh, zesty (think of lemon) and elegant. On the palate, this whisky is soft and richer than the nose suggests with plenty of fresh vanilla, toffee, honey and lemon zest present. It is very, very easy drinking and pleasant with hints of cinnamon spice and further vanilla (imagine vanilla ice cream) coming through. The finish is again longer than expected and full of oak, honey and vanilla with a distinct lemon zest note adding an interesting tang right at the end. Would be great as an aperitif. The colour is a dark golden amber and the nose is rich with aromas of dried fruits (think of raisins especially), caramel, honey, white chocolate and malty cereals. The initial palate is oaky and feels thick and syrupy in the mouth. The sweetness is reminiscent of butterscotch and an interesting fruity note comes through (imagine peaches), as does a distinct hint of spiced orange. The finish is warm with baking spices (nutmeg and cinnamon especially) and the orange and raisin notes. This whisky is golden amber in colour and the nose is complex and full of expressive aromas - dried fruits (imagine raisins and sultanas), wood spices (think of cinnamon and nutmeg), honey, vanilla marzipan and toasted nuts (especially almonds). The overall feeling is reminiscent of rich Xmas cake. The palate is balanced and has great depth. A distinct molasses/treacle note is then joined by those from the nose - the dried fruits, spices, honey, vanilla, nuts. It becomes spicier with time, with cinnamon particularly prominent. The balance between sweet and spice is fantastic. The finish is long and warming with a hint of spiced oranges added in to the mix. An absolute cracker of a whisky and my favourite of the day! This is a fascinating whisky that is golden brown in colour. The nose has a delicious mix of aromas - dried tropical fruits (think of mango and peach), raisins, toffee, cinnamon sticks, ginger and something floral (imagine jasmine). This feels thinner than expected on the palate but combines the aforementioned notes with some further spices (think of nutmeg and cloves), sandalwood, malty cereal grains and spiced orange peel. The finish is very soft and rounded and last for ages, with the wood spices adding pleasant dryness right at the end. This whisky is no longer available but Ronnie recommended that we tried it anyway. He is a man of good taste! The colour is dark amber and the nose is punchy, with woody spices (think of cedarwood, cinnamon and mahogany), caramel, plenty of dried fruits (imagine raisins, sultanas and candied orange peel) and vanilla all prominent. On the palate, these are all present as is a refreshing fruity peach-like note. Orange oil and further cedarwood come through to create a complex balance. The finish is long and warming. It starts fruity before becoming drier. The name comes from the Latin name for American oak, which is Quercus Alba. 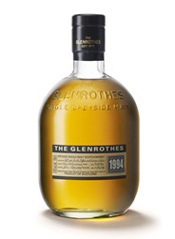 It is the only Glenrothes single malt that is matured 100% in American oak casks and is made up of different ages of whisky and therefore carries no vintage. Alba Reserve is currently only available in the USA and is one of the few certified Kosher whiskies available on the market. It has a light golden colour and a fresh, delicate nose. There are elegant notes of honey, vanilla, coconut, cereals and citrus zest present. These are repeated on the palate, which remains fresh and balanced. The finish is crisp, with the vanilla and coconut prominent and just a hint of cinnamon spice. This would be great as an aperitif whisky. The name for this one come from the Latin for European oak - Quercus Robur. This whisky contains the highest percentage of European oak (ex-sherry) cask matured spirit of any Glenrothes single malt and is exclusive to the Duty Free/travel retail market. The colour is a reddish amber and the nose is packed with aromas of sultana, toffee and baking spices (imagine cinnamon and nutmeg). The palate is milder than the nose suggested but has a good level of richness with the notes from the nose repeated, but more muted. Add in some vanilla oakiness and dried orange peel. The finish is lovely with the toffee particularly prominent. This is an extra special whisky that is limited edition and currently selling for close to £1000 a bottle! It is released to celebrate the work of Glenrothes' legendary Malt Master John Ramsey, who retired after 18 years of service. The whisky is created from different ages of Glenrothes vintages ranging from 1973 to 1987, each one selected by Ramsey. The whisky is amber in colour and very subtle on the nose, although more notes are evident with time - vanilla, dried fruits (especially sultana), malty cereals, toffee and tropical mango and peach. The palate is rich, creamy and very malty, with additional warm spices coming through (think of cinnamon and nutmeg). The finish is well balanced with toffee, spices and cereals. A fantastic dram and it was a privilege to try it. > Please note that all the whiskies are bottled at 43% ABV, with the exception of the Alba Reserve at 40% ABV and the John Ramsey at 46.7% ABV. Glenrothes is located in the town of Rothes in the centre of the Speyside region of Scotland. The distillery was founded in 1878 by Stuart & Co. and since the early 1990s has been owned by Berry Brothers & Rudd, the famous London wine and spirits merchants. They signed up to distribute Glenrothes as a single malt whisky, in return for the use of the whisky in their popular Cutty Sark blended whisky range. They introduced the current vintage system for Glenrothes single malt whisky and in 1999 were joined by the Edrington Group in partnership. The range of Glenrothes single malts continues to grow under this ownership and the distillery still provides the signature whisky for the Cutty Sark range. 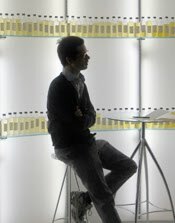 For further information on Glenrothes, its history and its whisky, please visit www.theglenrothes.com. Glenrothes is not open to the general public, so when we got the opportunity to visit it was one that we had to take. Our tour was taken by Eric Jefferson, a local Rothes man and former distillery employee who now takes invited guests around Glenrothes. Eric was full of facts and information, plenty of which is included below, and we thank him for this and for his time to show us around. 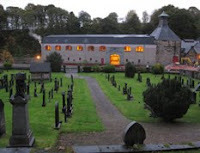 We begin at Rothes House, which sits on a hill over looking the town of Rothes. 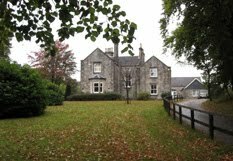 The house was built in the 19th century and was the residence of the priest of Rothes. It was so positioned, to allow the priest to look over his parishioners. The house remained used by the church until the 1980s, when it fell in to disrepair. Berry Brothers & Rudd purchased it from the church in the 1990s, fully renovating it and Rothes House is now used to accommodate guests of the company. The distillery is accessed from the house via a leafy woodland path, which was packed with autumn colour and very pleasant despite the rain! Upon arriving at the distillery, we head out of the rain and in to the milling area. 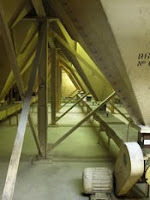 First up was a room where the malted barley is delivered and prepared for milling. This room is full of silos (pictured, left)and here the grain is stored until it is moved to the milling room next door. The milling room is home to a Porteus Mill, which has been at Glenrothes since 1964. This machine can mill a staggering 5.1 tonnes of malted barley at a time. Eric explained to us about the milling process and the balance of the final grist that they need for the whisky making process. The grist contains constituent parts – husks, centres and flour. Each part contains soluble sugars that are used in the following mashing process. An incorrect balance of each will create problems in the next mashing stage. We moved through the next room, which housed one large stainless steel mash tun. Here, the prepared grist is mixed with warm water and the soluble sugars in the grist are drawn out in to the water. This creates a sugary, malty solution that is reminiscent of a malt extract drink. Eric explained that during the mashing process they mix the grist with water at different temperatures in order to extract the highest amount of soluble sugars possible. The warm water is added, mixed and allowed to steep before the resulting solution is drained off. The process is then repeated, twice more with the temperature of the water increased each time. This pulls more and more of the sugars out. Next, is the impressive area where the fermentation part of the process takes place. Here, the yeast is added to the sugary solution (called 'wort') and these sugars are turned in to alcohol. Glenrothes has 18 fermentation tanks, which are called 'washbacks'. These are split between two rooms - eight stainless steel washbacks are in one room (pictured, left) and 10 wooden ones are next door. The wooden ones are made from Oregon pine and this arrangement makes Glenrothes one of the few distilleries in Scotland to have both stainless steel and wooden washbacks. 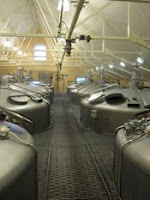 Each washback can hold 25,000 litres and the yeast is left to do its work for 55 hours. This is slightly longer than most other distilleries in Scotland and the result is called 'wash' and is an ale-like liquid that has an alcohol level of 8% ABV. Each washback contains fermenting wash at different stages of the fermentation cycle, so as to maintain a constant supply. The stillhouse at Glenrothes is known as the 'Cathedral of Speyside' due to the size of its stills. It is the tallest stillhouse in the Speyside region and houses 10 stills that work in pairs - five wash stills and five spirit stills - to produce Glenrothes' clean and fresh new make spirit. The stills are made of copper, as it can withstand the high temperatures needed to distill the spirit. The use of copper is vital as it also removes numerous impurities from the final spirit. Unusually, the lyne arms (the horizontal part at the top of the still) are pointing in towards the centre of the still house, where they are each linked to a condenser. This condenser is where the alcohol vapours are returned to a liquid form and collected. Traditionally, the lyne arms at most distilleries are pointing towards or going through the outer walls. The fermented wash goes first through the wash still before the desirable parts are passed through the spirit still. Glenrothes has a longer distillation time than most other Scottish distilleries - 16 hours. They also collect a smaller percentage of middle cut or 'heart' of the spirit than most, with only 17% collected to be matured in to whisky. An interesting statistic that Eric told us was that 25,000 litres of wash (the capacity of each washback), will go on to produce just 2,800 litres of new make spirit. This new make spirit is filled to casks at a strength of 69.8% ABV and then matured in one of the four warehouses at Glenrothes. The annual production capacity of the distillery is 5.5 million litres. 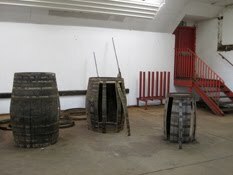 After a look in one of the warehouses, we move to the small cooperage that operates on the site. This is another feature that makes Glenrothes almost unique, as very few distilleries have their own cooperage attached nowadays. Most buy their casks from independent coopers. We observed two of the coopers at work, as they repaired some damaged casks and Eric told us a couple of interesting facts - the casks have curved edges so that they can be rolled and moved around more easily, plus a cask when filled with whisky weighs in excess of half a tonne! Finally, we went to meet Ronnie Cox, the legendary Berry Brothers & Rudd Brands Heritage Director, for a tasting of some of the Glenrothes whisky range. This was held in The Inner Sanctum, a special tasting room located in the heart of the distillery. This was fantastic end to a great distillery tour and the tasting notes, plus some of the interesting facts that Ronnie shared with us - click here for our tasting notes from this session. Amrut, the innovative Indian single malt whisky distiller from Bangalore, has released another limited edition – Amrut 100. This whisky has been matured in handmade 100 litre casks, bottled at 100 proof (57.1% ABV) and is presented in 100cl bottles. There will only be 100 numbered bottles rleased in to five specific markets (Belgium, Denmark, the Netherlands, Sweden and the UK). The 100 is a peaty expression of the award winning Amrut single malt. The range of single malt whiskies promoted under the Classic Malts banner are offering Friends of the Classic Malts the opportunity to sample a free dram. The whiskies in the promotion are Dalwhinnie, Glenkinchie, Singleton of Dufftown and Talisker. If you are not a Friend of the Classic Malts already, then you can join up at www.malts.com and take part. Being a Friend gets you various benefits such as regular product updates, offers and similar promotions. Hurry though as they only have 125,000 drams to give away! Laphroaig – Triple Wood is back! The famous Islay distillery has announced that a batch of 400 bottles of their limited edition Triple Wood expression has arrived at the distillery. Further stock has been distributed to various Duty Free/travel retail markets around the world. The Triple Wood is so named as it has been matured in three different types of casks – firstly in regular ex-bourbon, then in small quarter ex-bourbon casks and then in Oloroso sherry casks. 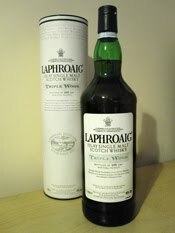 All bottles are in the one litre size and can be ordered through the www.laphroaig.com website for £49.50. Duty Free prices around the world may vary. Next time that you buy a regular bottle of Whyte & Mackay Special blended whisky, you may get more than you bargained for. The famous whisky company has filled 250 bottles, labeled as Special, with their award winning 30 years old blend to celebrate the launch of their new website. These 250 bottles have been randomly placed in cases of regular Special and have their true identity revealed inside the cap. The regular Special retails at around £15 a bottle, while the 30 years old is worth £150! The bottles could be anywhere in the UK, so good luck. Visit www.whyteandmackay.co.uk for further details. Ballantine's is a multi award winning range of blended whiskies. The range consists of the best selling Finest, two 12 years old (one blend and one vatted malt), this 17 years old and two older versions - a 21 and 30 years old. The range is amongst the best selling whiskies in the world and is currently in third place for volume sales, behind only Johnnie Walker and J&B. This 17 years old was first released in 1930, making it the oldest premium aged whisky still on the market. The blend of over 50 single malt and grain whiskies has remained largely unchanged for 80 years and remains a closely guarded secret. It has just been awarded the best score of any whisky in the new Jim Murray Whisky Bible 2011 (97.5 in his own unique whisky marking system). The current bottling is at 43% ABV and should cost around £40 a bottle from specialist retailers. Ballantine's whisky was first produced in 1869 by a Edinburgh grocer named George Ballantine. He had expanded his grocery business in to the area of wines and spirits, before deciding to start blending his own whiskies. The whisky business was booming at the time and many people began producing their own blends during this period, including names such as William Teacher and Arthur Bell. Ballantine's whisky became very popular very quickly and he recruited his two sons, Archibald and George Jnr, in to the business. He set up George Ballantine & Sons Ltd and by the time George Snr. died aged 83 in 1891, the company owned further production premises in Glasgow and were exporting their whiskies around the world. His sons sold the company in 1919. The Canadian drinks firm Hiram Walker took control in the 1930s and immediately purchased two Speyside single malt distilleries - Glenburgie and Miltonduff - as well as building the Dumbarton grain distillery to help with consistency of production. At the time of construction, Dumbarton was the largest whisky distillery in Europe. Between the mid 1960s and mid 1980s, Ballantine's grew in popularity throughout Europe and around the world. This popularity has been maintained today. In 2005, the Ballantine's brand became part of the large multi-national drinks company Pernod Ricard, who remain the current owners. 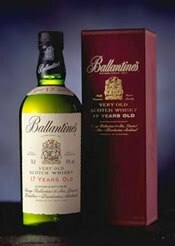 The colour of Ballantine's 17 years old is a bright gold and the nose is very pleasant with a comforting feel. Initially, there are plenty of vanilla, honey and cereal grain notes and the combination is softening and promising. Through these come some fresher characteristics - some zingy lemon zest, sharp green fruits like apples and especially grapes (almost reminiscent of vermouth) and dried grass (think of hay). These are almost instantly softened by further notes of toffee, dried fruits (imagine sultanas) and the tiniest lick of sulphury coal smoke. On the palate, this is so soft and creamy that its richness seems to coat the inside of your mouth. The distinct cereal grains are first up again and they are quickly joined by the vanilla, honey and toffee. Then come some soft dried fruits (think of sultanas and apple), a hint of citrus (imagine candied lemon and orange peels) and some wood spiciness (think of cinnamon and nutmeg especially). The finish is again very soft and rounded with plenty of cereals, vanilla and toffee. There are also the wood spices and a hint of that coal smoke from the nose right at the end, which gives some bitterness and further balance to the future. This is one of the softest that we have sampled for a long time. This would make it ideal for a beginner being introduced to whisky, although it has enough complexity and balance to keep the whisky enthusiast interested too. It is very easy drinking, well constructed and well priced considering the age of the whiskies involved in the blend (in blended whisky, the age stated is the age of the youngest that is present in the blend. Therefore, here the youngest whisky is 17 years old but it will also include older whiskies). A lovely dram. 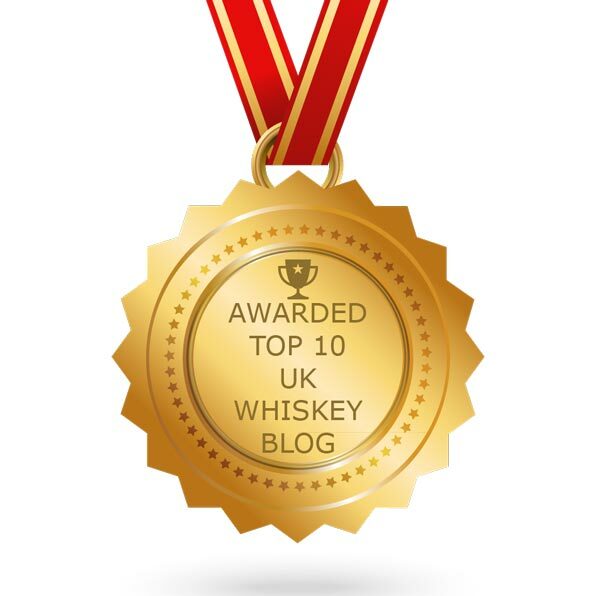 Whether you agree with Jim Murray that it is the best whisky of the year, only you can decide! The drinking of whisky and the smoking of cigars have a long history together. This pastime has enjoyed something of a revival in the UK in the last year and numerous events are being held to match certain whiskies with certain cigars and discuss the flavour combinations. Such an event was recently held in London. Unfortunately, we couldn't go but we know a man that could - Chris Maclean (pictured, left). Chris likes the odd cigar here and there, is a whisky lover and also writes the Drink Station blog, which specialises in soft drinks. So what better man to write a review of the evening for us? A big thanks to Chris from us both. We hope you enjoy his review. I was recently invited to a cigar and whisky tasting event at Boisdale of Belgravia. I’d heard a lot about this place, and as the self-proclaimed ‘embassy for Scotland’ it doesn’t disappoint. Founded in 1988 by Ranald Macdonald, Boisdale aims to showcase the very finest Scottish produce in London, in an almost defiantly Scottish atmosphere. The cigars were provided by Hunters and Frankau, a historic 220 year old company, being the sole official UK agents for Havana cigars and purveyors of the coveted ‘English Market Selection’ seal of quality. 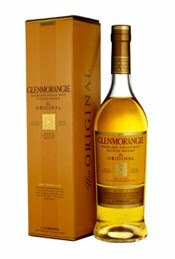 The Glenmorangie whiskies to be sampled were the Original 10 year old, the cask strength Astar (57.1% ABV), and the Signet. We made use of the sizeable Cigar Terrace for this event. This is a purpose-built outdoor roof space that is covered, heated and comfortably furnished in the warm Boisdale tartans. The Cuaba cigar was a real talking point, even before any matches were struck. 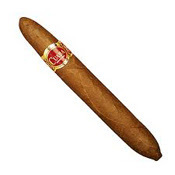 Cuaba is named after the highly combustible bush that the Taino Indians used to light their ‘Cohiba’ or cigar, and is made at the Romeo Y Julieta factory in Havana. The Distinguidos cigar we were to sample is a large cigar (162mm long x 52 ring guage), with a very distinctive torpedo shape, being pointed at both ends with a bulbous middle. This double taper is known as a ‘doble figurado’ and although now rare, was in fact the shape that all Habanos were rolled in up until the mid 1930s. At this time the straight sided ‘Parejo’ shape took over, and it is said that the main reason for the change in shape is that young men of the time found straight sided cigars easier to light correctly. The unusual torpedo shape of this cigar also creates a unique flavour profile. Whilst the taper at the cut end acts as a funnel to concentrate the flavours as they travel towards the mouth, the second taper at the lit end offers a rare occasion to taste the outer wrapper and binder leaf of the cigar when it is first lit and the early smoke is drawn through. I took a few moments to light the cigar and taste the outer leaves on the first of several draws: tangy, nutty (almonds, marzipan), sharp. The effect was much like an aperitif, stimulating and enlivening the palate. This worked well with the opening dram of Glenmorangie Original 10 year old, reflecting the clean vanilla, honey and almond flavours found here. As the combustion burnt slowly outwards to reach the widest part of the cigar, I noticed that the draw on this cigar was consistent and even, creating a fine ash that held together, and with the leaves packed tightly but not so much as to inhibit the draw. The flavour then filled out significantly at this point, settling first then gaining richness and weight, with tangy ripe fruit and sweet spices coming through. 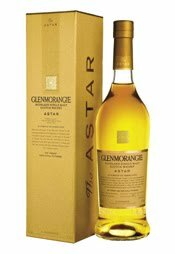 Several guests talked up the Glenmorangie Astar at this point, with its creamy, spicy intensity providing much more impact, vigour and a long cleansing finish. Into the final third of the cigar and somebody quietly pushed a dram of Signet in my direction. Cuaba is described as a Medium to Full flavour cigar by the Hunters & Frankau team, and this was beginning to make sense. 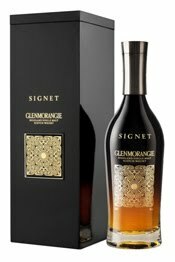 Leather, earth and black pepper notes from the tobacco found an equal in the Glenmorangie Signet, with its unusual proportion of highly roasted ‘chocolate malt’ and fresh casks creating a viscous malt with mouthcoatingly dark flavours. The cigar really dovetailed with the whisky at this point, with each enhancing the experience of the other. The debate between the Signet and the Astar continued apace, with some guests enthusing over the addition of a few drops of water to the Astar, which opened up the fragrance and fattened up the texture in the mouth. I had met my match in the Signet however, with its bittersweet composure offering a fine pairing with the cigar in terms of balance and intensity, at the bottled strength 0f 46% ABV. This was a special evening during which the combined artistry of the cigar maker and distiller could be appreciated and explored at leisure, in fine company and surroundings. I can highly recommend catching up with the Hunters & Frankau team at one of these events, where cigar and whisky novices and enthusiasts are equally welcome. Thanks to Dan Pink and Jimmy Mcghee of Hunters & Frankau for providing the cigars, and to Adam Williams of Moet Hennessy for the whiskies. The independent company that own the Speyside distilleries of Benriach and Glendronach have announced the appointment of Donald MacLellan as International Market Development Executive. He joins the innovative Benriach Distilling Co from another independent distillery – Bruichladdich on Islay. He will be responsible for developing business in new markets such as Central and South America and Eastern Europe, as well as raising Benriach and Glendronach’s profile on social media sites such as Facebook and Twitter. There will shortly be an Irish cream liqueur added to the range of Danny Boy Irish whiskies. The range currently consists of a premium blend and a 15 years old single malt, both of which are made under license at the Cooley distillery and both of which have recently started to pick up industry awards. Danny Boy is owned by Peter Lavery, a former bus driver who won £10 million on the UK’s National Lottery in 1996. For further information, go to www.dannyboywhiskey.com. 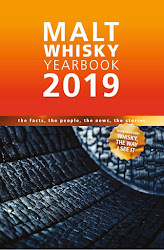 The new version of the iconic whisky book has now been released and the whisky world has the answers to what he has rated as the ‘best whiskies in the world’. This year influential whisky writer Murray has voted the Ballantine’s 17 years old blend as his number one, commenting that it is “one of the most beautiful, complex and stunningly structured whiskies ever created”. He gave Thomas H. Handy Sazarac Rye second spot and W. L. Weller 134.8 Proof third - both of which are American whiskies made at the Buffalo Trace distillery in Kentucky. 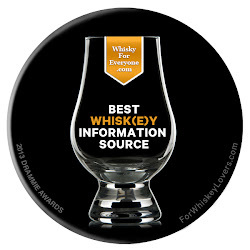 For more results and whisky info, go to www.whiskybible.com. Dalmore Trinitas 64 has captured the whisky headlines this week for becoming the most expensive whisky ever sold. There are only three bottles in existence, with each worth £100,000 and two have been sold already! The third will be sold at the forthcoming Whisky Show 2010, held in London at the end of the month. The organisers have announced that one lucky ticket holder will also get the chance to taste this rare whisky. For further information about this or to buy tickets for the show, go to www.thewhiskyshow.com. Earlier this week, we were delighted to be invited to a Four Roses bourbon dinner - an exclusive event that formed part of the current London Cocktail Week. 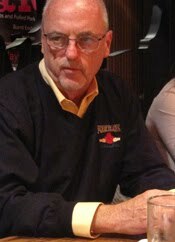 The guest of honour was Jim Rutledge, the Master Distiller at the Four Roses distillery. He has worked at the distillery for an amazing 44 years and is known as "Mr. Four Roses" as a result. He is also the man who is regarded as saving the brand when it was struggling under previous ownership a decade ago. The event was held at Bodean's - an American themed grill house that is carnivore heaven (and Karen's vegetarian version of hell! ), serving large American-sized portions of animal cooked in a charcoal pit - in London's Tower Hill area. In attendance were a mix of London's spirit and cocktail bloggers, as well as Dan Priesman - the UK's Four Roses Brand Ambassador. We thank Jim and Dan for making it such an informative and great night. 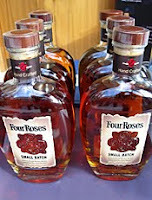 Four Roses is an American whiskey distillery that is located in the town of Lawrenceburg, Kentucky. The state of Kentucky is the famous home of the American whiskey industry with seven companies currently operating and producing numerous brands of whiskey and bourbon. Four Roses was first produced in 1888 and moved to the current Lawrenceburg site in 1910. The distillery is currently owned by the Kirin Brewery Company from Japan and is one of Kentucky's largest distilleries, producing eight million litres of whiskey a year. Much of this is released under the Four Roses name although, as with the other Kentucky distilleries, they also release whiskies and bourbons under different names. The most well known such example made at Four Roses is Bulleit bourbon. Jim spoke to us and told us many stories and facts about the Four Roses distillery and his experiences there. 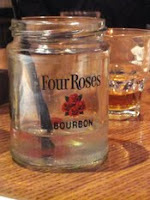 Our favourite was the story of how Four Roses got its name. It is said to originate from a love story involving the distillery's founder Paul Jones Jnr. and a local woman. Jones Jnr. proposed to her and she stated that she needed time to decide and that she would give him the answer at a forthcoming ball. If she wore a corsage of red roses, then her answer would be 'yes'. At the ball, she turned up wearing a corsage of four red roses and they went on to be married. Jones Jnr. 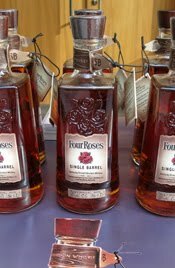 then decided to call his new bourbon 'Four Roses' in her honour and as a sign of his love for her. In between these stories and facts, we sampled each of the Four Roses bourbons that are available on the UK market - the Yellow Label, Small Batch and Single Barrel. He explained in detail the difference between each of these bourbons. We learnt that Four Roses is unique amongst bourbon producers in that they use two different grain recipes (one with a recipe mix of 75% corn, 20% rye and 5% malted barley and the other with a mix of 60% corn, 35% rye and 5% malted barley) and five different strains of yeast for production. The result of this is that they end up with 10 different versions of Four Roses, as each grain recipe is exposed to one of the five yeast strains and each of the resulting 10 bourbons have differing characteristics from the next one. To make each final bourbon in the range, they use different combinations of the 10. The regular and best selling Yellow Label has some of all 10 included, the Small Batch uses just four of them and the Single Barrel uses just one which is specially selected for its supreme quality. Below are our basic tasting notes, with links to our full previous reviews. This is the biggest selling whiskey in the Four Roses range and is approximately six years of age. The colour is yellow brown and the nose is light with a lovely delicate freshness. It has vanilla, oak, sweet cereal grains (think of corn/maize) and a lemon zest citrus note. On the palate, this offers heaps of vanilla and fresh coconut. It has a refreshing body that also has those cereal and citrus elements from the nose, plus delicate honey. The finish is short but balanced, having an interesting woody bitterness that counteracts the previous sweetness well. For our full review of the Yellow Label - click here. The colour is deep golden amber and the nose is expressive and fragrant. There are prominent aromas of vanilla, coconut, slightly bitter cereal grains (imagine rye bread) and candied orange peel, with subtle nutmeg and cinnamon wood spices and nuts in the background. On the palate the vanilla, cereal grains and the almond-like nuttiness give a creamy mouth coating feeling , with a lovely combination of coconut, honey, cinnamon and nutmeg spice and bitter oranges. The finish has initial sweetness before turning drier and spicier (that cinnamon again). For our full review of Small Batch - click here. The colour is golden amber and the nose is very intense. A warm spiciness hits first, before plenty of woody and vanilla notes kick in - think of fresh oak shavings, sandalwood and coconut. It is fresh and vibrant with other aromas coming through like caramel and orange oil. On the palate, this is intense - there are plenty of fresh oak and coconut husks. This has a pleasant bitter edge before softer, sweeter notes appear - caramel, brown sugar, cereal grains and vanilla. Additional spices (imagine nutmeg, cinnamon) combine to give depth. The finish is very long and warm with spiciness and woodiness, in addition to a burnt orange note. For our full review of Single Barrel - click here. What was our favourite? Well, when tasted side by side you really get to feel the quality of the three products - the Yellow Label is soft, light and fresh, the Small Batch is richer and sweeter and the Single Barrel is richer still with plenty of lovely wood spices. On the night, the Single Barrel was our (and most other people's) favourite, however that could all change next time! 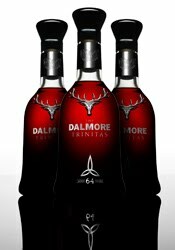 News > Dalmore Trinitas 64 released as world's most expensive whisky EVER!! Dalmore, the highly awarded Highland distillery, has today announced the release of the world's most expensive whisky ever - the Dalmore Trinitas 64. There are only three bottles and each has a retail price of £100,000! Yes, you read that correctly - £100,000! Amazingly, two of the bottles have already been sold to private collectors and the third will be on sale at The Whisky Show, the forthcoming luxury whisky event which will be showcasing some of the world's finest examples of whisky and will take place in London on the 29th and 30th October. Dalmore is located in the northern Highland town of Alness. It is one of two whisky distilleries in the town, with the lesser known Teaninich being the other. 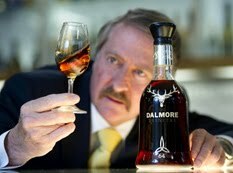 Dalmore was founded in 1839 by Alexander Matheson and is currently owned by the famous whisky name of Whyte & Mackay, which is now a subsidiary of the Indian owned company United Spirits. United Spirits took over in 2007 and have since re-branded the Dalmore whisky range and packaging. They have also recently done this to the two other Whyte & Mackay single malts – Jura and Fettercairn - and sales of all have increased significantly. Dalmore has an annual production capacity of around four million litres and is particularly renowned for their use of quality sherry casks to mature their whiskies. The Dalmore Trinitas 64 contains some of the rarest and oldest single malt whiskies in the world and some of them have been maturing in the Dalmore distillery warehouses for over 140 years! The youngest whisky included is 64 years of age and was distilled in the mid 1940s, hence the reference to that age in the name. Richard Paterson, the world renowned Master Blender for Whyte & Mackay, has used his expertise to fuse together a range of these exclusive malts and produce the Trinitas. They have been placed in one boutique, hand crafted American white oak cask for the last two years to create a unique spirit which will never or can ever be replicated. Richard describes the Trinitas as "the pinnacle of my career - it's the best whisky that I have ever created". As there are only three bottles of this whisky and they cost £100,000 each, there are only a select few that will ever get to sample this rare whisky. Therefore, we are going to have to use Richard Paterson's tasting notes and dream of a Lottery win! "The initial bouquet is highly complex. Powerful notes of sweet raisins, rich Colombian coffee, crushed walnuts and bitter orange casts its magical spell over you. Another glorious fusion of grapefruit, sandalwood, white musk and Indonesian patchouli completes this bouquet of exuberance. The spirit must be nurtured and cherished long in the mouth to tease out every hidden flavour. Sweet sultanas, figs, and a caramelised topping of Seville oranges, apples, mangos and dates roll over the tongue. This is quickly followed by a wave of lingering sensations of vino dulce muscatel, marzipan, treacle toffee, soft liquorice and roasted coffee. A soft caress of truffles, walnuts and muscovado sugar on your palate brings this unforgettable fanfare to a flawless finish". Now, both of us at Whisky for Everyone love a good cocktail so when the London Cocktail Week was launched yesterday, we decided to join in and see what we could learn and which nice bars we could find! The event runs until Sunday 17 October, culminating in the annual RumFest show which is this year being held at Kensington Olympia. London Cocktail Week seems to have something for everyone who is interested in cocktails and spirits - branded seminars and tastings covering all genres of spirits, the chance to meet some of the producers and top mixologists, evening social events, tutored classes for beginners and professionals alike and the chance to savour special cocktails in some of London's finest bars, some of which are opening their doors to non-members for the first time. Approximately 75 of the capital's bars are producing special themed cocktails and these are being charged at £4 each for the duration of the Cocktail Week. However, to qualify for this price, you must have one of the event's special pre-ordered wristbands. So, last night we went off and collected our wristbands and went in search of some good cocktails ... as we did so, we said to each other "this is going to be a long week!" 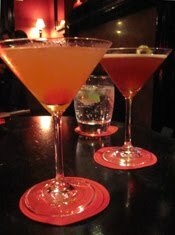 We decided to begin the week by trying some previously unvisited bars in the Fitzrovia area to the north of Oxford Street - we limited ourselves to three bars, as it was a Monday night after all! First up was Market Place which is a stone's throw from Oxford Circus. This is a compact bar with wooden planks on the walls and plenty of outside space. They also have a basement bar that has DJs on most nights. Their regular cocktail list is concise and interesting, but we were there for their £4 London Cocktail Week special - the Louisiana Jam. This was made with an intriguing mix of Southern Comfort whiskey liqueur, lemon and apple juice, apricot jam and mint leaves, mixed with crushed ice in a mojito style. After initially thinking that this would be too sweet, it turned out to be delicious and refreshing with the jam adding great fruitiness. Next, we moved on to La Perla, a Mexican style tequila bar and restaurant in Charlotte Street. The ground floor houses the main restaurant area and the main bar is in the basement. La Perla has won many awards for their large tequila selection and cocktails, so we were looking forward to this one having previously been to the Covent Garden branch. They had two tequila based cocktails, created for London Cocktail Week - the Puro Mexico and the Mexican Passion Mojito. The Puro Mexico was made using Ocho blanco 2010 vintage tequila, lime juice, agave nectar and topped up with a sparkling white Mexican wine, served in a champagne style flute. The Mexican Passion Mojito contained Tapatio blanco tequila, fresh passion fruit, mint and agave nectar and was served over crushed ice in a tumbler. Our preference was the mojito, with the sharpness of the passion fruit really working well with the other ingredients. Finally, we moved on to Bam-Bou - a south east Asian restaurant and bar set across four floors of a splendid looking Georgian townhouse on Percy Street. We made our way up the winding flights of stairs to The Red Bar on the top floor and made ourselves comfortable on the leather chairs. Out of the window, we saw the famous BT Tower lit up and we thought "we have saved the best until last haven't we?" The three £4 cocktails on offer were the most original of the night by far, had been created especially for London Cocktail Week and all had an Oriental theme. The three cocktails were the Rose of the Orient (an inventive combination of Grey Goose vodka, green tea, flower petals and agave syrup), the Naughty Kaffir (Bombay Sapphire gin, coconut water, lemon, kaffir lime and a maraschino cherry) and the Birdy (Grey Goose vodka, smoked Rooibos red tea and fresh black cherries). We opted for one Naughty Kaffir (pictured in the foreground) and one Birdy (pictured in the background). They were served in a chilled martini glass. Both were divine. Both were expertly made. Both were unlike any other cocktail we had ever tried. The combinations of flavours were so unusual but worked superbly well in both cases. We then spotted an interesting whisky cocktail on their innovative cocktail list - the Tiramisu Martini. It combined two of our favourite words in one glass, so we just had to try it! It was made using Whyte & Mackay blended whisky, Maker's Mark bourbon, Baileys, a shot of espresso coffee, cream and a dusting of cocoa and cinnamon. This cocktail was rich but very good, although we both preferred the two lighter, fresher original choices. We thank Alberto, the Restaurant Manager and Pawel, the maker of these excellent cocktails, for taking the time to talk with us and for giving us such an enjoyable experience. We will definitely be visiting Bam-Bou again. The Jura distillery is located on the isle of Jura, which lies off the west coast of Scotland. The island's closest neighbour is the famous whisky island of Islay and they are seperated by a narrow, fast flowing stretch of water called the 'Sound of Islay'. The distillery was founded in 1810 by Archibald Campbell and was originally called the Small Isles distillery - this name came from the numerous small islands that are located in Craighouse Bay, which the distillery overlooks. It was closed for a long period between 1901 and 1960, at which point it was rebuilt and re-named as Jura by Charles Mackinlay & Co. The distillery has an annual production capacity (approx. two million litres), which is reasonably large when considering its remoteness and the small population of the island (currently only 220 people). In fact, Jura translates as 'deer island' from the old Nordic language (in ancient times the island was invaded by Nordic warriors, in case you were wondering about the connection!) and the deer out number people by a ratio of 20:1. The current owners are Whyte & Mackay, which is a subsidiary of the Indian drinks company United Spirits, and they use the whisky produced at Jura in their popular range of blended whiskies. However, they are recently putting more time in to promoting Jura as a single malt whisky. This has seen sales improve greatly in the last two years and as a result they continue to expand the core range. The current range consists of 10, 16, 18 and 21 years old in a lightly peated style plus this Superstition, which is smokier, and the relatively new Prophecy, which is 'profoundly peaty' (their words, not ours!). These are supplemented by occasional releases of older whiskies, such as the 1974 Vintage and the 40 years old. 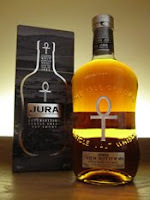 Jura is also popular with the independent bottling companies with different ages and casks available. Superstition is made by marrying (or mixing) two different styles of Jura whisky together - one heavily peaty and smoky and one very lightly peaty. It is bottled at 43% ABV and is available in specialist retailers and some larger supermarkets. A bottle should cost £25-30. The colour of the Superstition is golden with an amber tint. The nose offers its peaty smokiness immediately - this has a feeling of damp earth and moss, with some wet grass thrown in. Then the other notes start to appear to make this whisky a little more balanced. There is a heavy whiff of robust cereals (think of oat cakes or biscuits), some nuts (imagine almonds), vanilla, caramel and a distinct hint of orange oil. The nose begins in a one dimensional way and becomes more and more interesting with time. The same happens on the palate - the peat smoke kicks things off and feels heavier than the nose suggested, but retains its slightly bitter damp earthy, mossy, grassy character. This is joined by sweeter vanilla, honey, oats, that orange oil and toasted/roasted almond notes - the combination is very pleasant and well balanced. Further complexity is added with late notes of baking spices (think of cinnamon especially), some burnt caramel and iodine (these add a good bitter edge) and a tiny tang of salt. The finish is not as long as expected but begins with the sweeter notes (especially vanilla and honey), before turning drier with the cereals and spices making it drier. The peat smoke remains throughout and fades away fairly quickly. Jura Superstition is a good whisky to introduce someone to the peaty and smoky characters and flavours. It has them but not in a way that is too overpowering, robust or challenging. The subtly of the smoke combines with the other interesting characteristics to give a final whisky that is complex, balanced and easy drinking. It also offers decent value for money. A very pleasant dram.